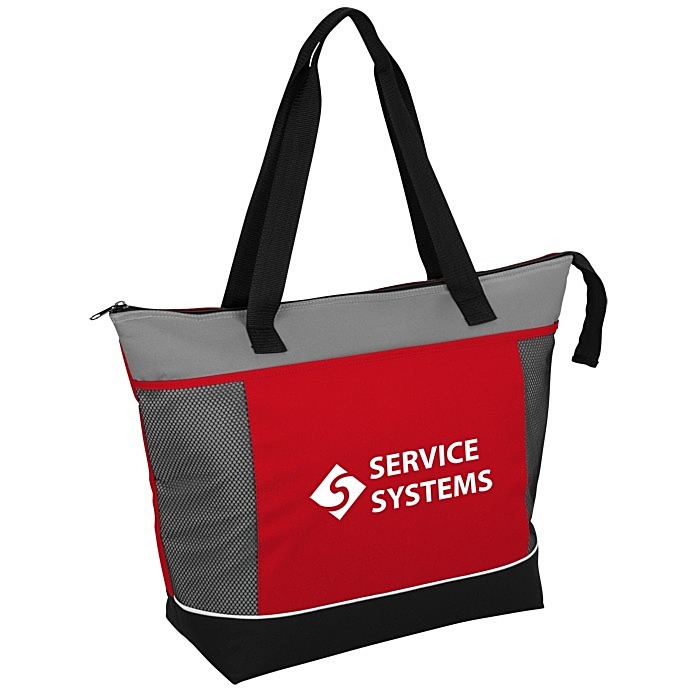 This is one cool promotional tote! 4 color(s) to choose from! Made of durable 600D polyester and non-woven dobby. PEVA lining protects against leakage while keeping items cool. Zippered closure along the top keeps contents secure. 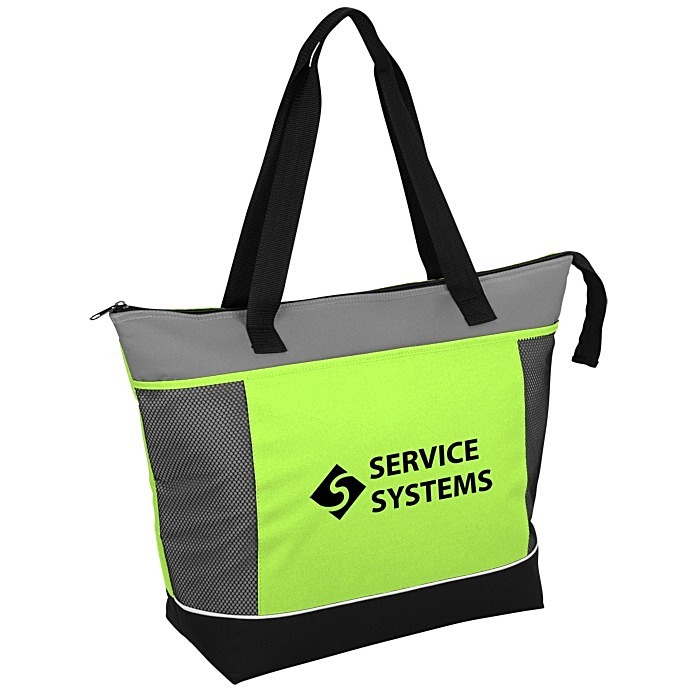 Also features a front slip pocket and 28” dual shoulder straps. Size: 16" x 22" x 7-1/2". Your price includes a one color imprint on the front pocket. Ready to ship in : 3 business days *. * Excludes art preparation time, applies only to orders of 250 items or fewer.